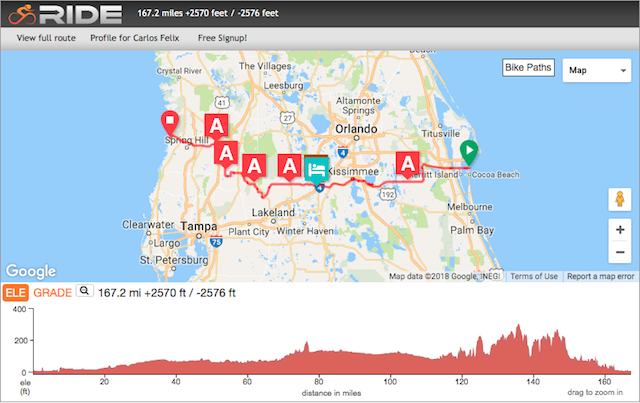 What on earth would inspire people to attempt a 167 mile one day event from the east coast of Florida to the West Coast? “Because it’s there” is the resounding reply. Years ago it was an actual race, complete with police motorcycles rushing ahead to close all intersections for the front group to pass through safely. Can you imagine racing for that long? 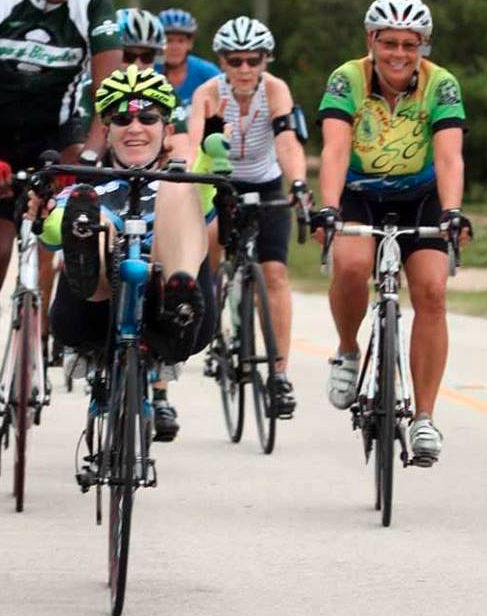 Nowadays the Space Coast Freewheelers take a more relaxed approach to the event, but some do unofficially “race” it to see how quickly they can make it to the finish line. I’ve made this trek 5 times since 2012 and I just might to make it #6 in a couple of months. What is the allure? The challenge. The camaraderie. The scenery. The excitement of being a part of an event that most people would call us crazy for doing. The first year I did it, it was simply to complete the mileage. In 2014 several members of the Ride Across USA team rode to promote our Big Ride and used it to ride together for training. In 2015 I lead a group of Road Titan Wanna-Bes and our goal was to finish with a solid 18.5mph pace. We did and it was a lot of fun. For the last 2 years I found my place with Eastside Cycling Club, one of my favorite groups to ride with. 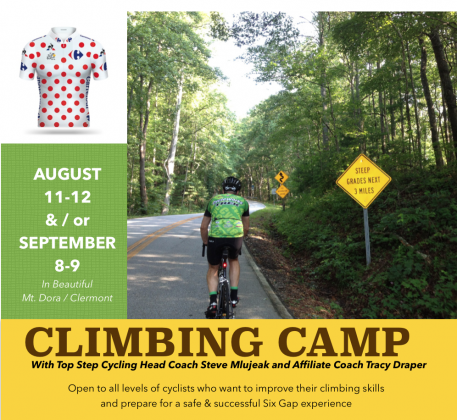 Just this morning a cycling friend asked me for some tips for this special event. It made me wonder if a few others would be interested in the same tips so I’ll write them once to be shared by all. 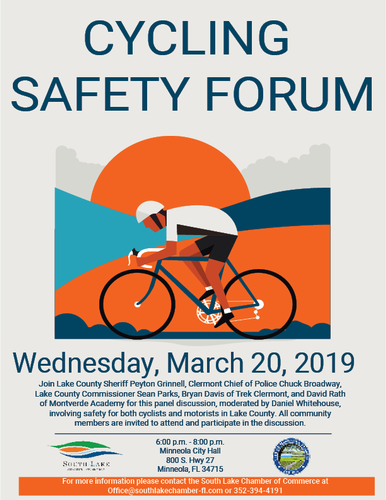 There are several things to make sure you do to prepare, as well as some tips that will help you avoid certain decisions that could put your ride in jeopardy. 1) Train for it. Make sure you have a base mileage of 200K (124 miles) under your belt a few times to give you confidence that you can complete the last 40+. 2) If you are going to stay the night before, make your hotel reservation now because rooms are hard to find the week of the event. 3) Go with a group that can work together. 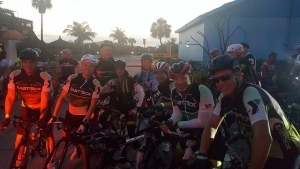 167 miles is a long, long day in the saddle and a group to help each other is the best way to go. Don’t assume that you can find a group and stick with them. Have a plan, get your own SAG to support you (normally someone will have a spouse in the group who is willing to do this). Your group should be basically the same riding level or else it will break up very early on. 4) Incorporate hilly sessions in your training rides. Around mile 120 is there you get to meet the hills for about 20 miles. They will eat your lunch if you are not ready for them. Make sure you do hills close to the end of your training rides. 5) Practice discipline and self-control for the duration of the event. The excitement at the mass start is electric! The pace picks up very quickly once the police get us to our first major turn and off the mail road. People are warmed up at that point and this is a way to shake the peloton up. It is very effective because the pace will jump to 25mph+ as the front powers through that corner. It gets a little sketchy there so be prepared and hold onto your helmet! 6) If you go out too fast (like many will), you will pay for it greatly. 7) Take nutrition and hydration seriously. If this is your first XFL experience, you have probably never done anything remotely like this ride. Plan on consuming a full 16 oz bottle per hour (more if it is hot). Start with water then switch to electrolytes. Eat real food; don’t rely on Clif Bars and Gu to get you through. Plan your SAG stops and make sure you are ingesting at least 250-350 calories per hour. Avoid heavy proteins as they will just sit in your gut and churn. Trust me; I’ve seen it all too often. 8) Limit your SAG stops to 10-15 minutes MAX. Your body will cool off and cramps may arise. If you sit down, you may not feel like getting up so don’t get too comfy. 9) Keep the goal realistic. If you are going for a set time make sure you do the math, allowing time for at least 5 short stops along the way and realize your rolling pace will be significantly higher than the overall average you are looking for. To get our 18.5 average at the end of the day last year, we had to roll at 20-22 for the flat portions of the event. The 20 miles of hills will significantly decrease your average, so make sure your average is higher before mile 120-ish when the hills begin. Our overall average was close to 22 prior to hitting the hills. 10) Remember why you are going to do this: to have a good time. Many people get grumpy around or after the hills so bring some extra encouragement with you and keep it in your back pocket. You or someone will need it. Your body will talk to you so listen carefully. The grumpies come when blood sugar levels are low, so EAT. Drink Cokes. Encourage those who are suffering if you are not. If you allow the grumpies to take over, the fun goes out the window. I just thought of another dozen or so tips so there will be a Part 2 coming in the next week. Until then, do your homework and get your training going if you have not already. If you’re not in shape to train for this early April event, consider the two day option. I can also custom design a training program for you that works with your abilities, schedule and desire. Great article! I did mine last year for the first time. I had only one very suffering century in my books and going for the XFL was really a crazy challenge for me. I took the advices from a buddy cyclist which are mostly in alignment with all that you wrote. I totally agree with planning who you’ll ride with way before the ride. I ended up riding for about 40+ miles alone and that wasn’t fun. 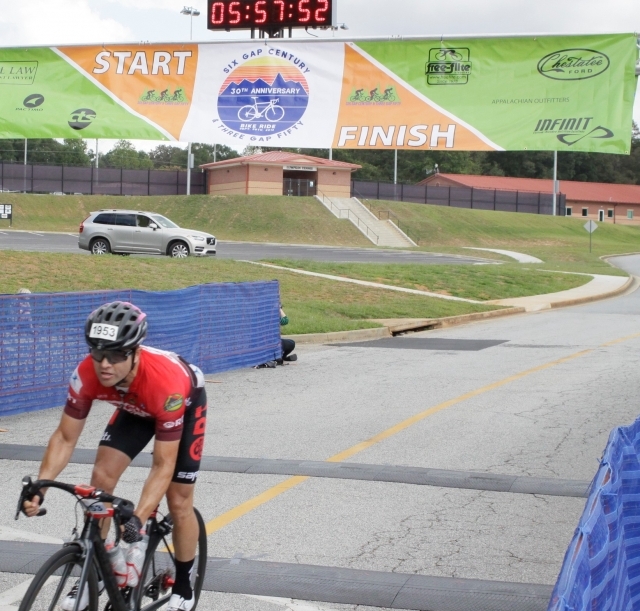 The excitement to cross the finish line is just speechless. One more tip I would add to your list is a proper bike fit. Not the one your LBS will do in 10 minutes when you buy a bike. At least 45 minutes for a complete professional fit will make a whole lot difference on a ride with that distance. Can’t wait to do it again soon. See you at the Finish Line! Thanks, Val! There is so much to include in a post like this that Part Two is coming out this week. You are absolutely correct that a good bike fit is imperative. A LBS isn’t usually trained or equipped for a professional bike fit; that’s on us to get done. I highly recommend MotionFit in Gotha, FL, where Kameel took 2.5 hours with me to ensure that my bike was fit properly to my flexibility, strength, alignment and size. If you see me at XFL this year be sure to introduce yourself.